A great display species and one that is easy to propagate. We believe this species may have been traded as the Burmese Millipede previously. What does the Olive Banded Millipede look like? A moderately sized and slender species of millipede (up to 15cm). Body is conspicuously annulated in light brown and olive green. Both the legs and antennae are beige in colour. 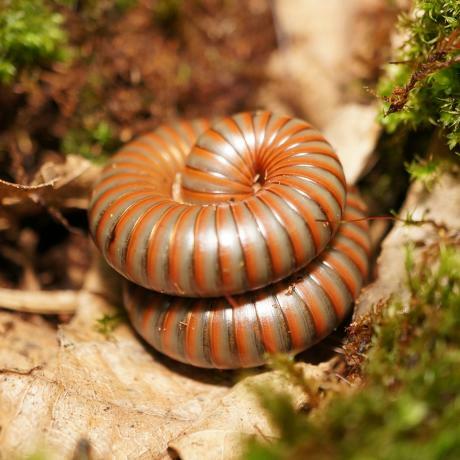 Where are Olive Banded Millipedes from? Commonly found in areas of dry savanna in Tanzania, with distinct rainy and dry seasons. How do you keep Olive Banded Millipedes? House singularly or in groups, in large and secure plastic tanks or glass terrariums. 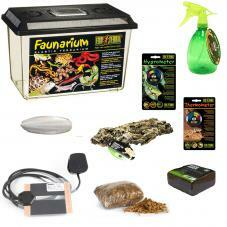 Try to maintain them between 24°C (75°F) and 26°C (79°F) using appropriate terrarium heating equipment. 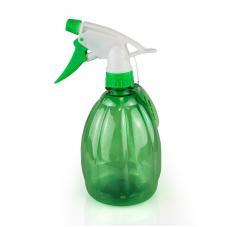 Maintain a moderate level of humidity around 70-80% with frequent misting, using a hand or pump sprayer. 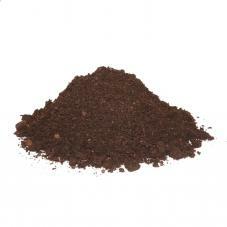 Provide a deep soil based substrate layer of 7-10cm which is enriched with natural organic matter. Add natural decor such as bark and branches for enrichment and cover. These millipedes loves to climb. This species is omnivorous and will consume a wide range of fruits, vegetables and animal protein. Place food into a shallow dish and lightly dust in calcium powder. Replace food regularly (preferably daily) to prevent substrate contamination and the attraction of fruit flies. Leaf litter, dead wood and lichen at varying levels of decomposition will also be consumed..